POINT EDWARD SKATING CLUB INC.
How old should my child be before he or she starts skating? Generally most children are ready to learn to skate between the ages of 3 and 5. The decision to start them in a program depends on their attention span and their level of interest in skating. It's important to make sure that the skates fit them properly and that their ankles are well-supported. How often should my child be skating? It is enough for children in the Kidskate Program (age 3-5) to skate one-half hour per week to introduce them to the love of skating. Ideally, skaters in the Canskate Badge Programs (age 6 & up) or Pre-Preliminary should skate at least twice a week in order to make progress. Generally, these skaters are working towards some personal goals which may involve figure skating or hockey. A Junior level skater should skate a minimum of three times a week, with four times per week being ideal. Senior skaters will train more often and sessions will be longer depending on training goals. First and foremost, your child needs good skates. The kind of skates suitable for your child will depend on the program you're enrolling in, and on your child's size and strength. Some skate brands will be more suitable for your child than others. In general, we recommend that you do not buy molded (plastic) figure skates. They usually don't flex well enough through the ankle to allow a proper knee bend and range of motion. Ask one of the coaches to take a look at your child and recommend some options. Properly fitted CSA approved hockey helmets are required for children in the Kidskate Program and Canskate Stages 1-5. 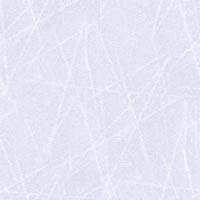 How do I buy skates for my child? There's no such thing as weak ankles, but there are plenty of skates on the market with weak ankle support! The toes should be able to wiggle, the heel should fit snugly. Properly fitted skates are usually one size smaller than your normal shoe size. A thin acrylic blend sock or stocking allows the skate to have a snug fit that permits the toes to be relaxed in the toe box. The Booster Table will be open periodically throughout the skating season. Please watch the bulletin board for times and dates. The Booster Table sells gently used skating apparel as well as new, unused skating accessories. Proceeds from the Booster Table help to offset purchases of equipment used to assist skaters, coaches and parents in the operations of the Club. If you have any new or gently used skating items that you would like to sell, the Booster Table would be pleased to take them on consignment. All items should be clean and in saleable condition. Please price your items. For more information contact Bonnie Worsley 519-383-7956. Fundraising is a vital part of the PESC. Without the fundraising efforts of our skaters and their families, we would not be able to offer affordable programs at all skill levels. Please consider assisting in one or more of our fundraising efforts. Each family with a skater at the Canskate level or higher will be required to sell 1 box of chocolate bars to offset the cost of ice time. This fundraising initiative helps to support our Club as well as our governing body, Skate Canada Western Ontario Section. Each family with a skater at the Canskate level or higher will be required to sell one book of tickets. Ticket stubs must be returned to Donna MacDonald by Nov. 30, 2012 in order to be included in the draw. Volunteers are a vital part of our club and we need you year-round, not just during the winter season, to help the club run smoothly. If you can contribute contact Board Member listed on the Board of Director's page.